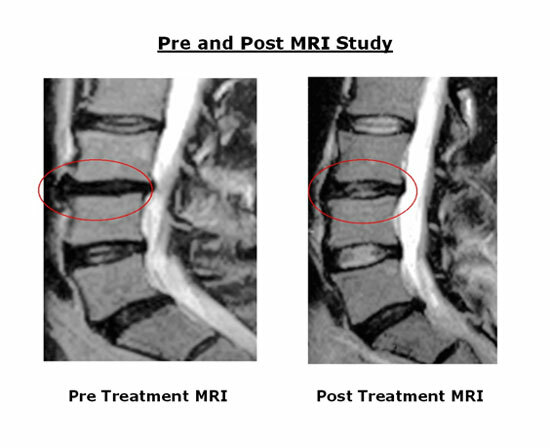 TREAT HERNIATED DISC WITHOUT SURGERY? IDD Therapy® - Intervertebral Differential Dynamics Therapy® is a proven treatment for the relief of lower back pain. With an up to 86% success rate, thousands of patients have experienced dramatic pain relief and healing. See WEBMD video about spinal decompression. IDD Therapy® is non-surgical, non-invasive, and typically does not involve pain medications. The treatment is not only safe and painless, but also comfortable and relaxing. The course of therapy includes approximately 20 treatment sessions and is completed in about 35 days. Each procedure is performed with a unique, patent pending physio-therapeutic device and is performed by a certified clinician, specializing in back pain care. The treatment sessions are brief, lasting approximately 30 minutes. Why should you consider IDD Therapy®? IDD Therapy® is non-surgical and non-invasive. The complications from surgery can be severe and may result in debilitating conditions. IDD Therapy® is painless and involves no recovery time. IDD Therapy® is convenient. Treatment sessions last only 25 to 30 minutes. And because the procedure is non-invasive, most IDD Therapy® patients can carry-on with normal daily activities. Additionally, patients can expect only minimal absence from work. IDD Therapy® is cost-effective. The cost of treatment is minimal compared to the cost of surgery. And, in most cases, financing is available for those without insurance or with less than comprehensive insurance. Several payment options are available and a monthly payment plan can be a much better financial decision than a 10% or 20% insurance co-payment on back surgery. What is the Best Approach to Chronic Back Pain? A leading cause of missed work time, low back pain second only to the common cold. Another stunning statistic is that back pain is known to affect 56% to 85% of the U.S. population at some point in their lives. Recognizing this impact, what then is the best approach to treating back pain? IDET (Intra-Discal Electrothermoplasty)- requires x–ray guided needle insertion into the affected disc to thread a wire along the inner wall of the annulus. The wire is then heated to destroy small nerve fibers and partially melt the annulus to generate new reinforcing proteins. A 53 patient study on discogenic back pain published in “Spine” (Oct 2002) cited a success rate for IDET (depending on criteria stringency) as high as up to 60% to as low as 23%. (Minimally invasive). R.D.N (Radiofrequency Discal Nucleoplasty)- even newer than IDET, still somewhat invasive and mostly similar except that coblation nucleoplasty utilizes a radiofrequency probe to vaporize some of the nucleus and in this manner, decompresses the disc and reduces the pressure both on the disc and surrounding nerve roots. (Minimally invasive). 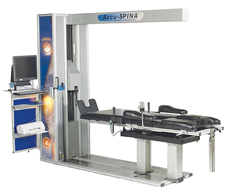 IDD Therapy® (Intervertebral Differential Dynamics)- completely non-invasive, utilizes a sophisticated computer guided patient manipulation device to deliver therapeutic distraction forces to a specifically targeted spinal segment. The mild pumping effect combined with a muscular physical therapy component, creates pressure differential of the intervertebral discs and facet joints, that is, unloading, due to distraction and positioning. A blinded study published in American Journal of Pain Management (April 1997), performed by Shealy and Borgmeyer* on an early spinal system model which eventually led to the IDD Therapy® standard, the SPINA System™, was reported as giving “good” to “excellent” relief in 86% of patients with ruptured intervertebral discs. Back pain suffers no longer have to experience the pain and agony of “going under the knife”. Now there is a better and proven option: IDD Therapy®. New studies incorporating the IDD Therapy® protocols are continually being funded in conjunction with this evolving technology. 1. IDD Therapy® clinics will benefit from regional and national advertising campaigns managed by world-class marketing and advertising firms. 2. Medical protocol does not involve surgery. IDD Therapy® costs just 8 pennies on the dollar when compared to surgery. In most cases, adequately insured patients will spend far less for IDD Therapy® than they would for a surgical co-payment. 3. IDD Therapy® is non-invasive. The official protocol does not involve penetration of body tissue to address organic pathology. 4. IDD Therapy® is not only painless, but is comfortable and relaxing as well. The intervertebral machines designed to deliver IDD are state-of-the-art medical devices. In regards to engineering and design, paramount attention has been given to ergonomics and function. 5. Treatment is completed in approximately 35 days with minimal follow-up. Contrarily, surgery requires significant recovery time and extensive follow-up. 6. Cash payments for IDD Therapy® treatments are available to IDD Therapy® providers. Provided clinicians follow medical protocol and perform minimal documentation, reimbursement is swift. 7. For many patients, non-strenuous work can continue during therapy. Employers benefit from less work loss and will refer future employees for treatment. 8. IDD Therapy® is convenient for patients. All evaluation, diagnostic work and therapy can be performed in the clinic environment. Patients do not need to make special trips to large, impersonal hospitals for management. ***INFORMATION PROVIDED BY NORTH AMERICAN MEDICAL CORP.